By Dominique D’Ermo, Dutton, 1987 first edition. Hardback with DJ, 252 pages. Located on a prime D.C. street corner at Pennsylvania Ave. and 20th. St. N.W. in its glory years, close to the White House, the Executive Office Building and the K Street power corridor, Dominique’s Restaurant Francais was one of the standouts of Washington’s French restaurant scene during the during the ‘70s and ‘80s. 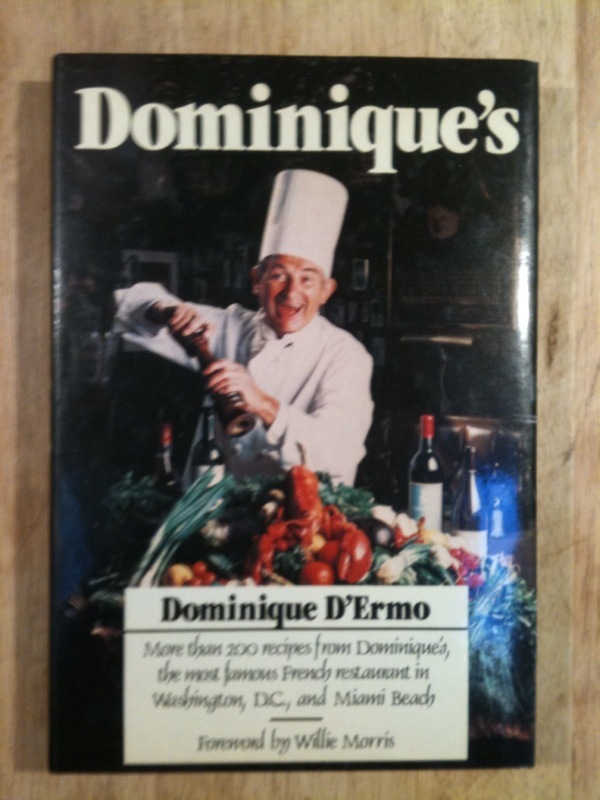 Run by French restaurateur, Dominique D’Ermo was personable, flamboyant and ambitious. He’d fought with the French resistance in his youth and at 20 was a heralded award-winning pasty chef in France. From the start, he had a vision to make Dominique’s less stuffy and less formal than the other French restaurants in town – Place Vendome, Le Lion d’Or, San Souci, Rive Gauche and Jean-Louis at the Watergate – in other words, give it pizzazz. Unrivaled for its spectacular pastries and desserts, Dominique’s had a more casual atmosphere, and its owner thought up attention-grabbing wild game entrees like baked rattlesnake and alligator – very outré in ‘80s D.C. 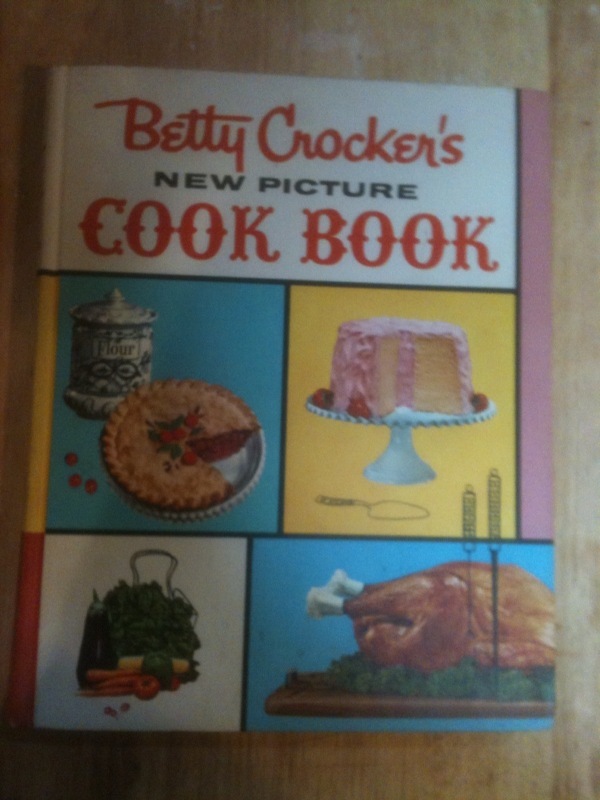 It was a hit and an “in” place to dine for a time, but the recession of 1980 took its toll, although he soldiered on until 1987, the year this book was published, he soon sold the restaurant. moved to Florida. There he ran another Dominique’s in Miami Beach and pursued other business interests, including his line of luxury canned soups, sauces and broths that are still are on supermarket shelves. VG+/VG+.